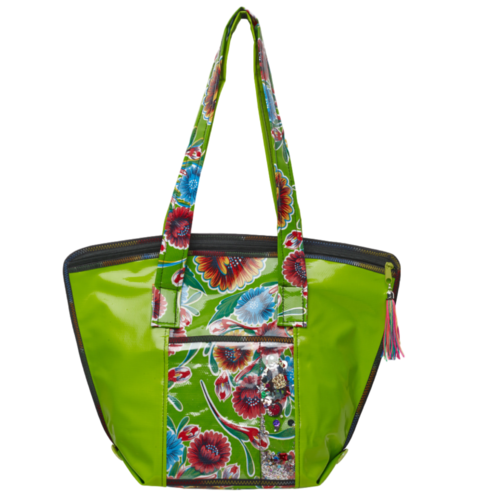 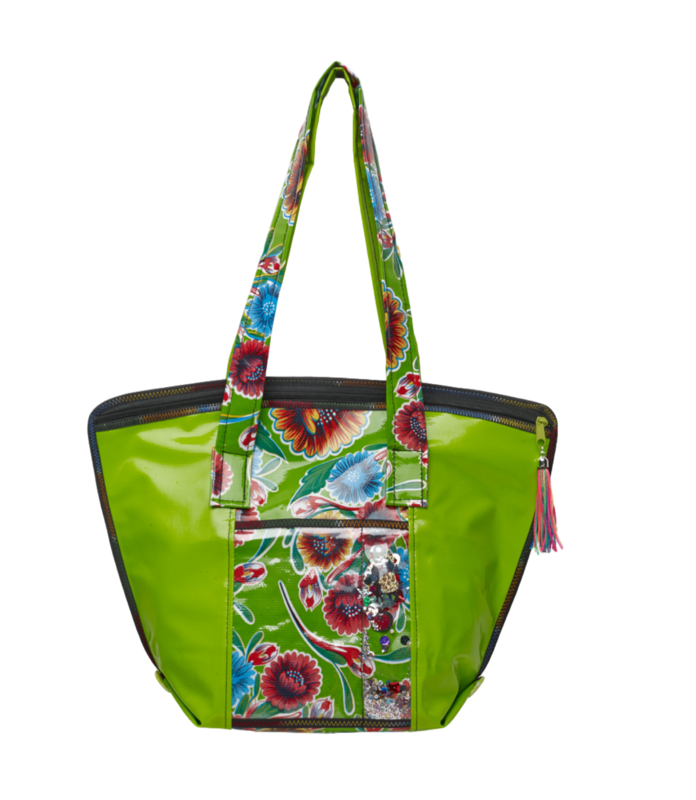 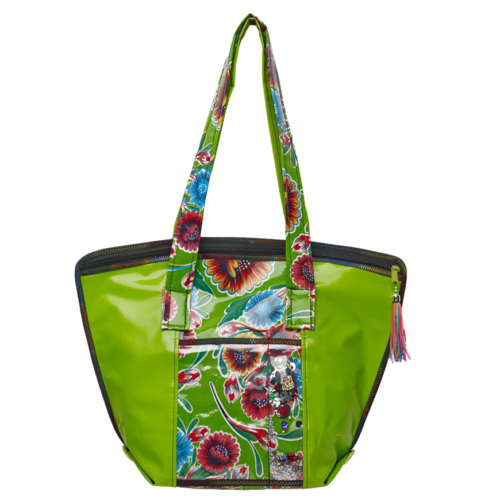 The Small Tote is the answer to organizing your belongings in style. 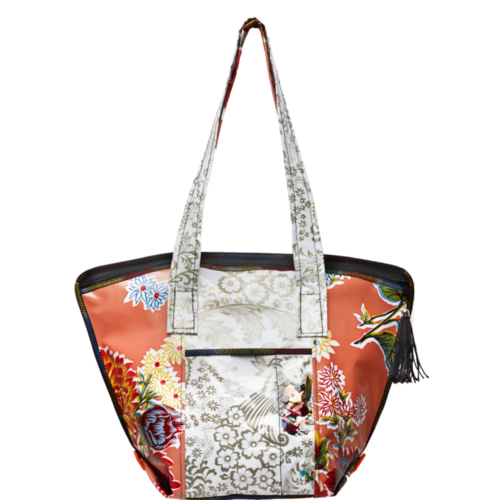 A zipper with a handmade tassel on the runner holds your items safe. 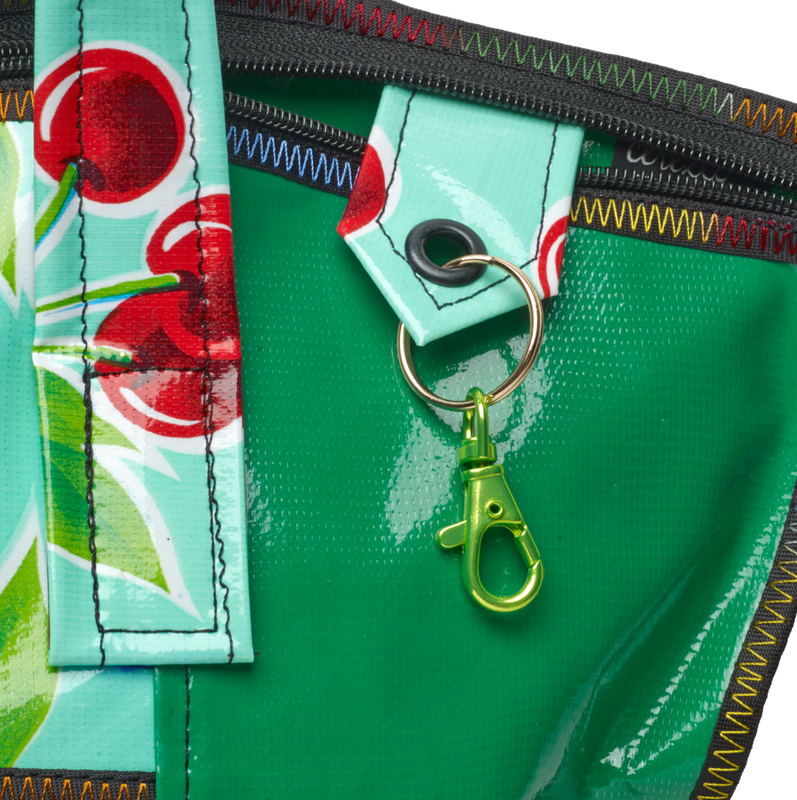 A handy key fob is attached to the upper interior just below the zipper end. 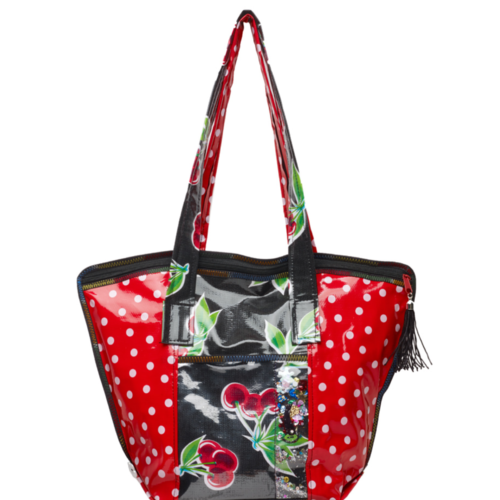 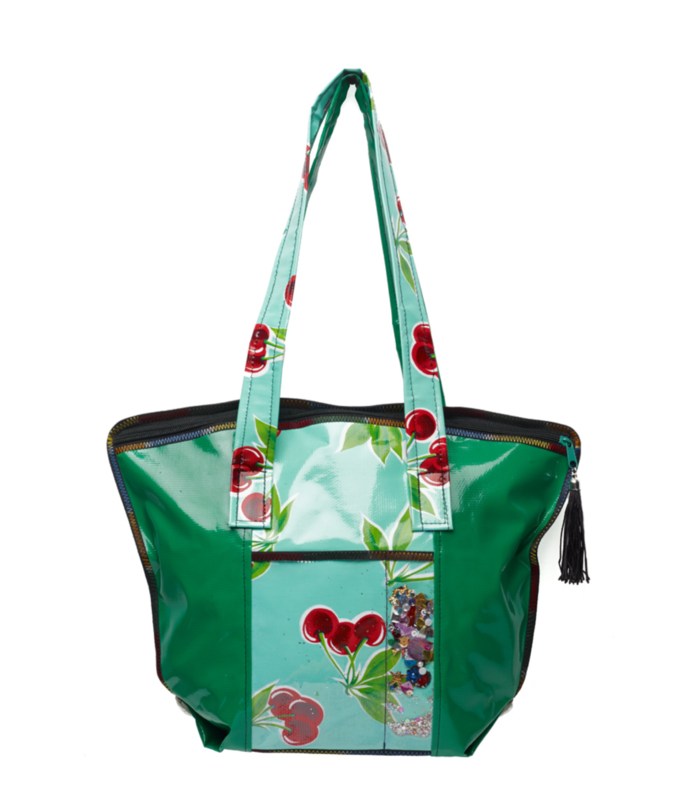 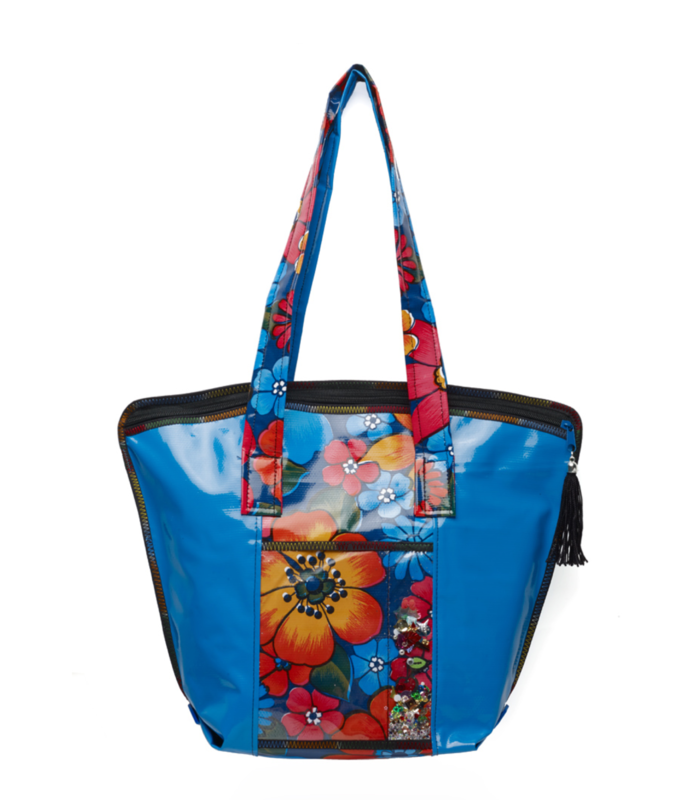 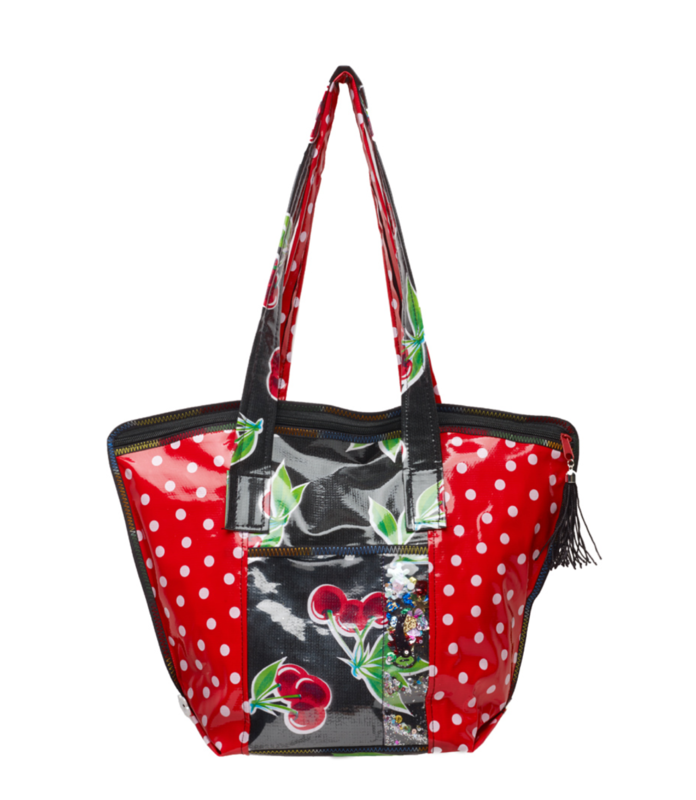 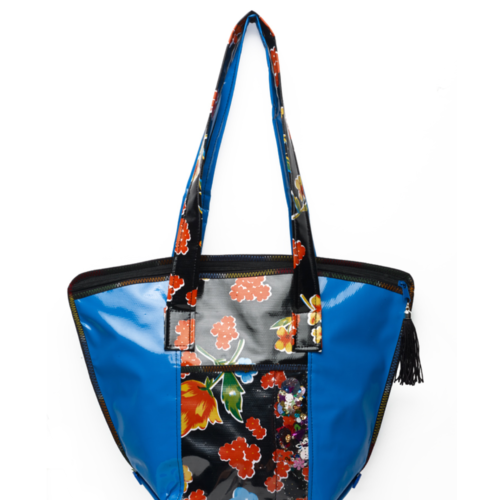 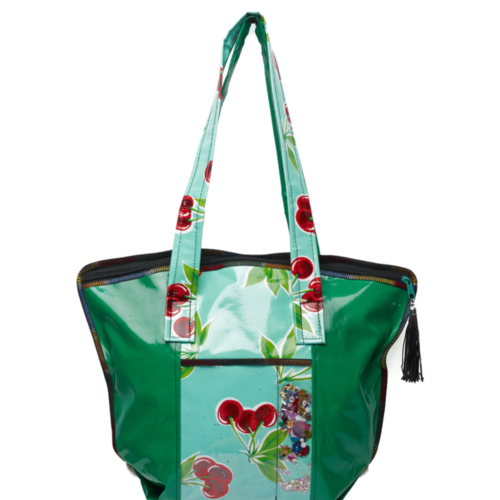 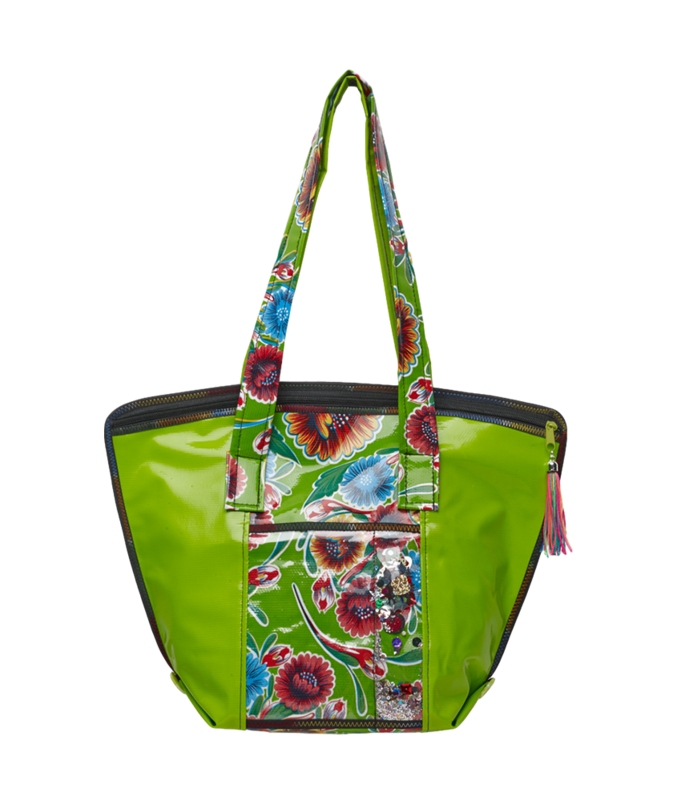 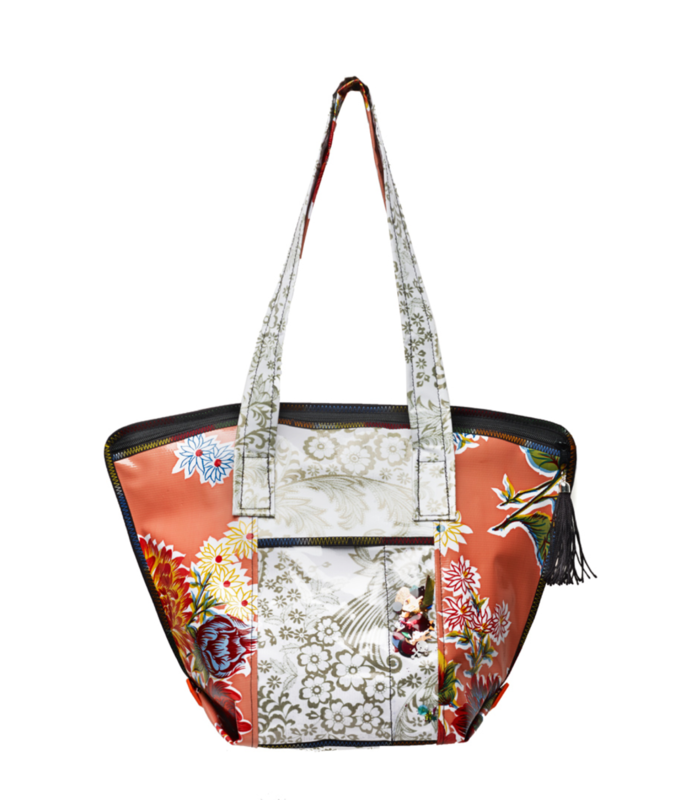 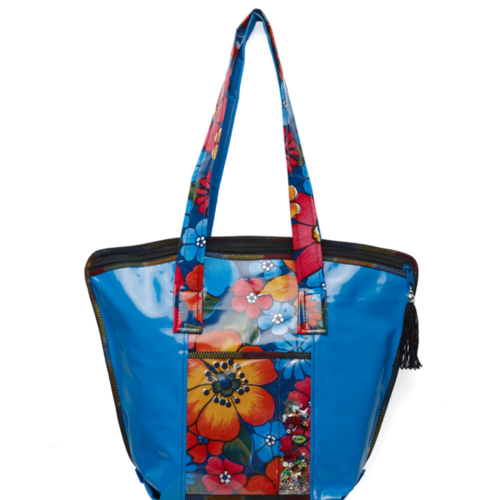 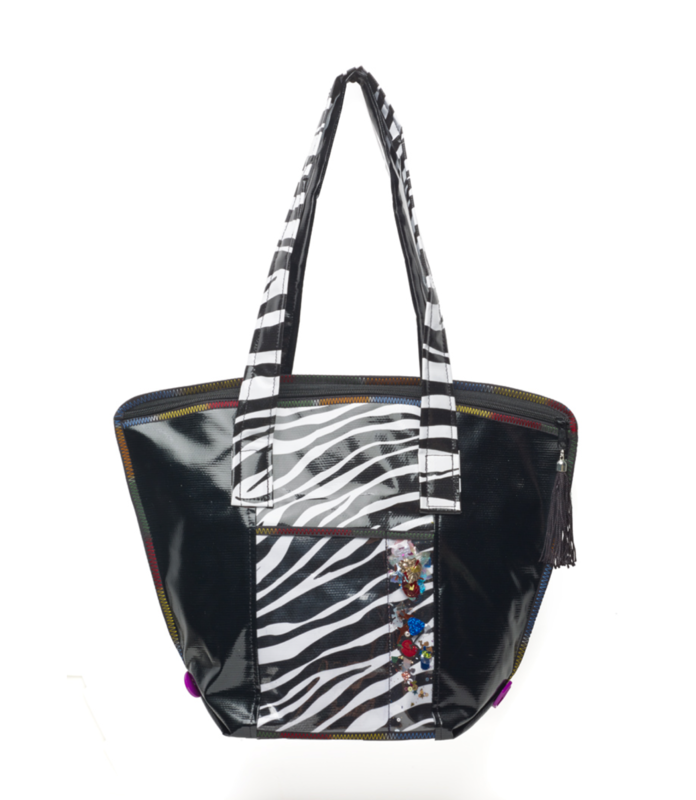 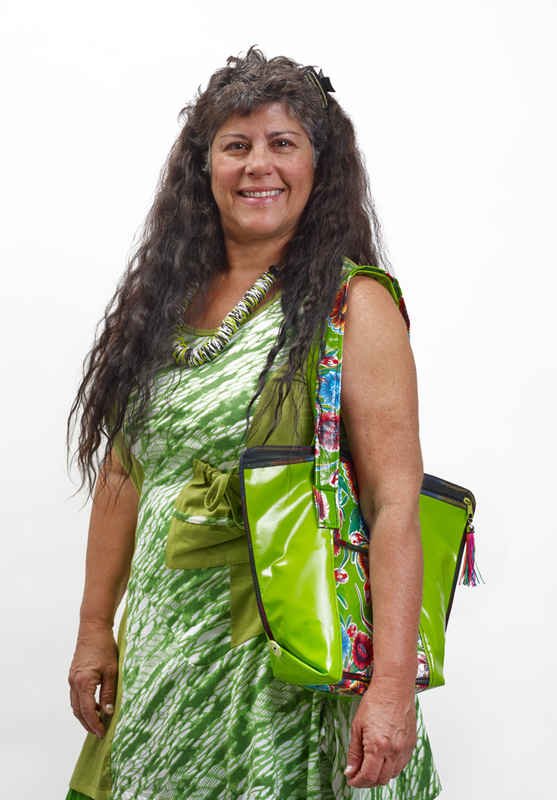 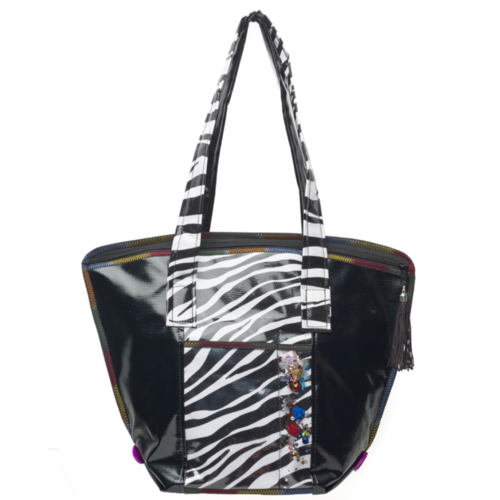 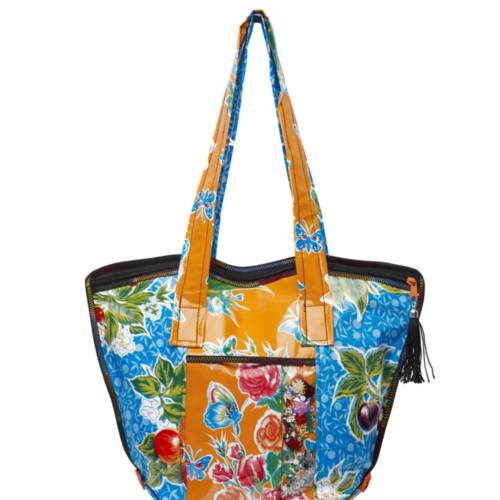 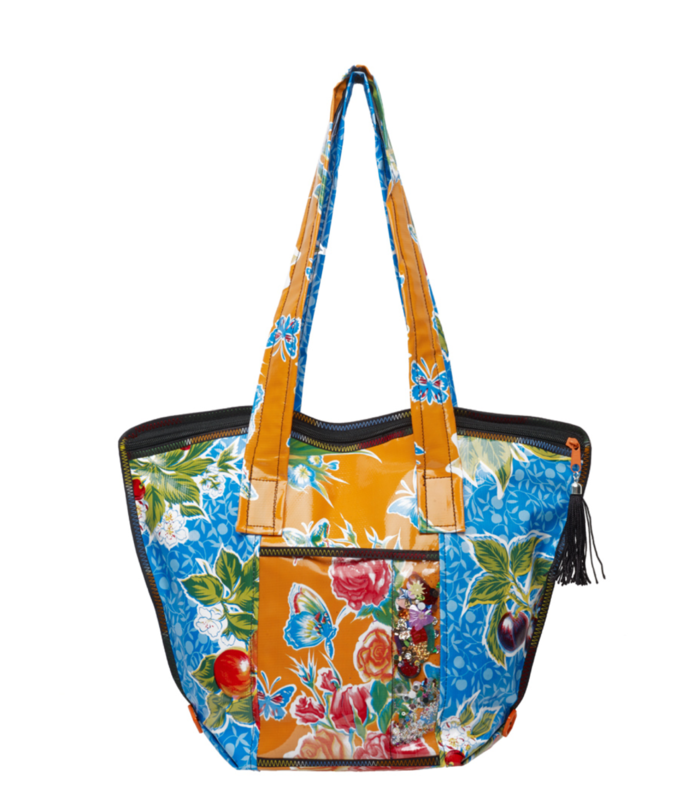 This durable tote is lined with another layer of oilcloth and sports a clear vinyl exterior pocket perfect for your large cellphone. 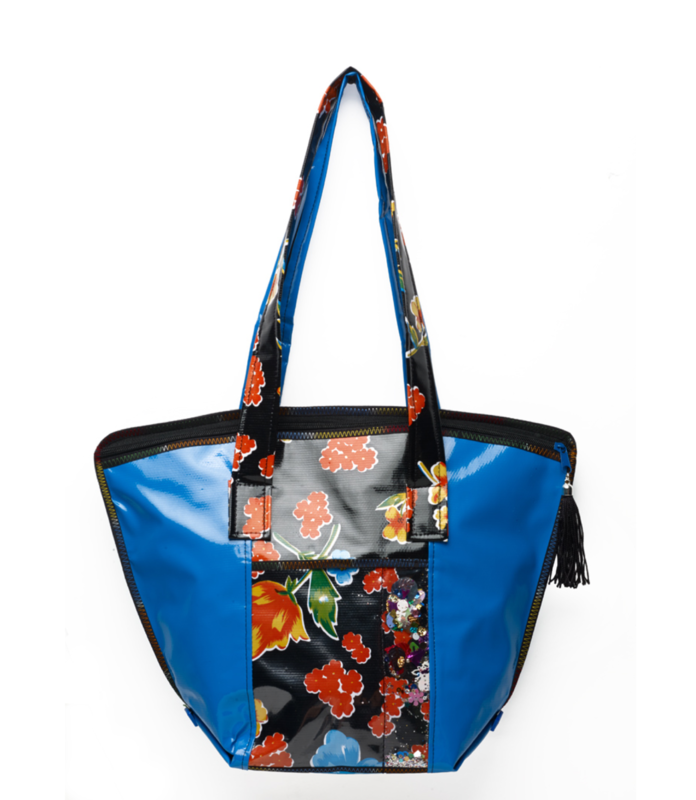 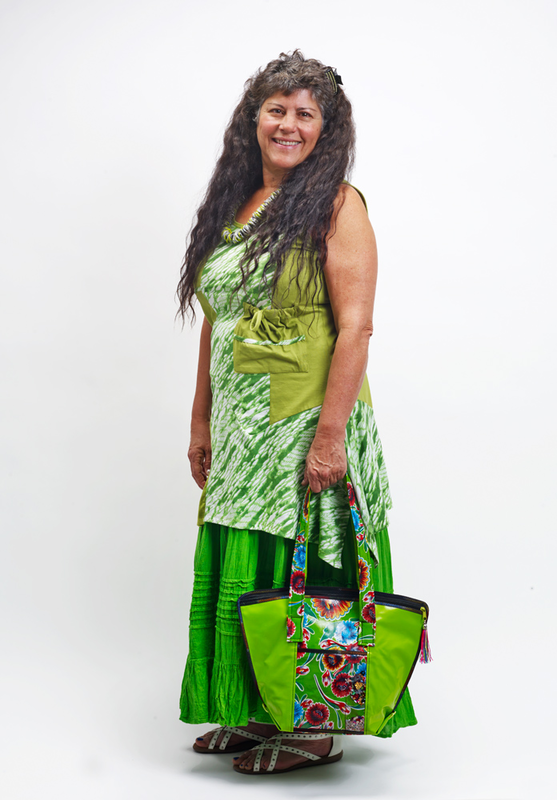 And the straps are long enough to carry your tote on the shoulder but not so long that they drag along the ground when carried from the hand.